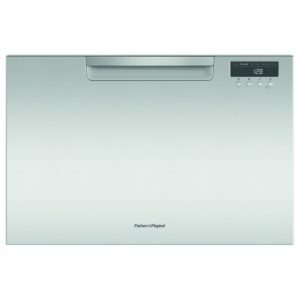 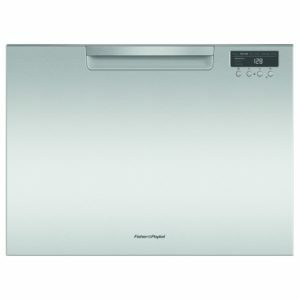 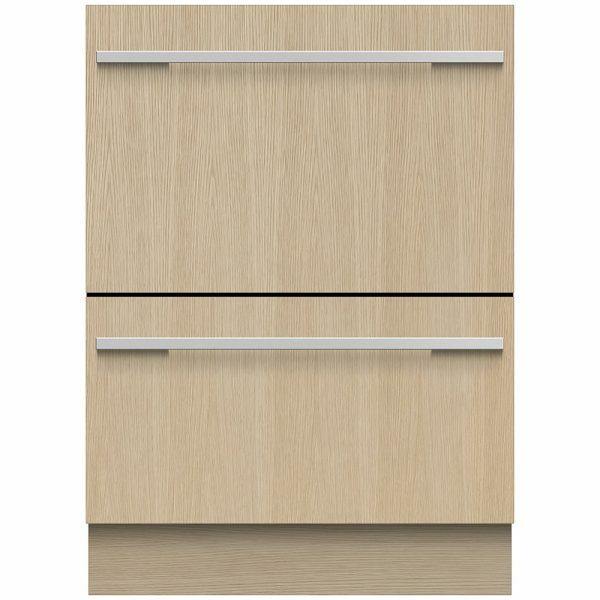 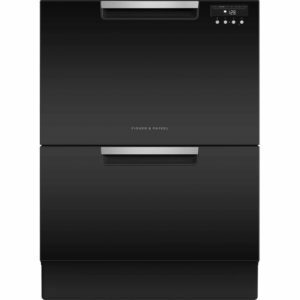 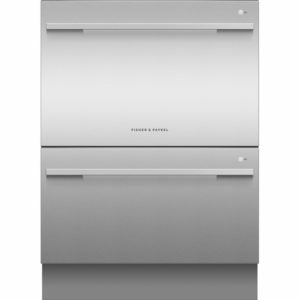 This Fisher & Paykel integrated double drawer dishwasher is absolutely stunning. 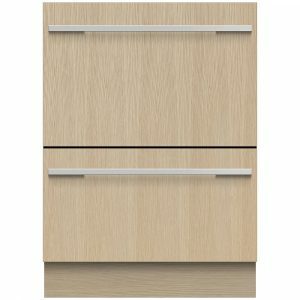 It boasts outstanding performance due to the Fisher&Paykel unique Smart Drive motor and offers space for 12 place settings, 6 in each drawer. 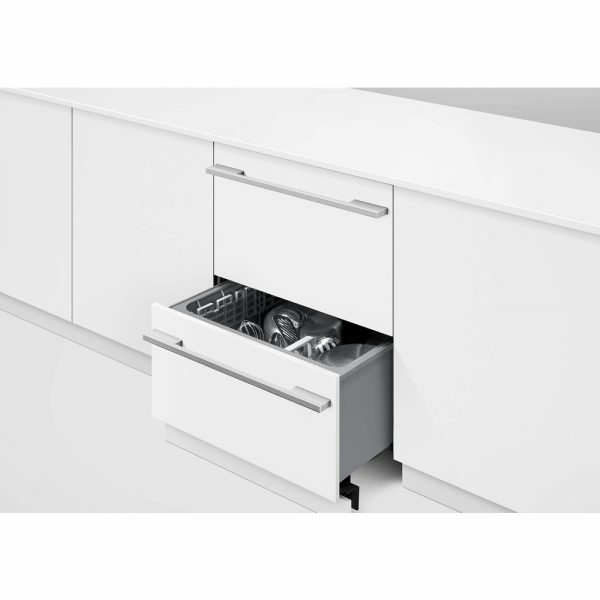 The drawers can operate independently, with each utilising a different wash programme simultaneously, or you can use just one drawer operating on its own if a half load is required. 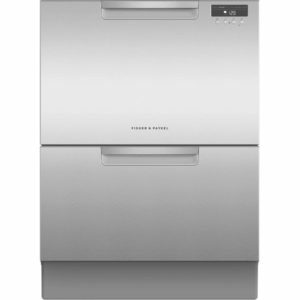 Fisher & Paykel are giving you 9 wash programmes including a glass care/delicates cycle, fan assisted drying and a delay timer. 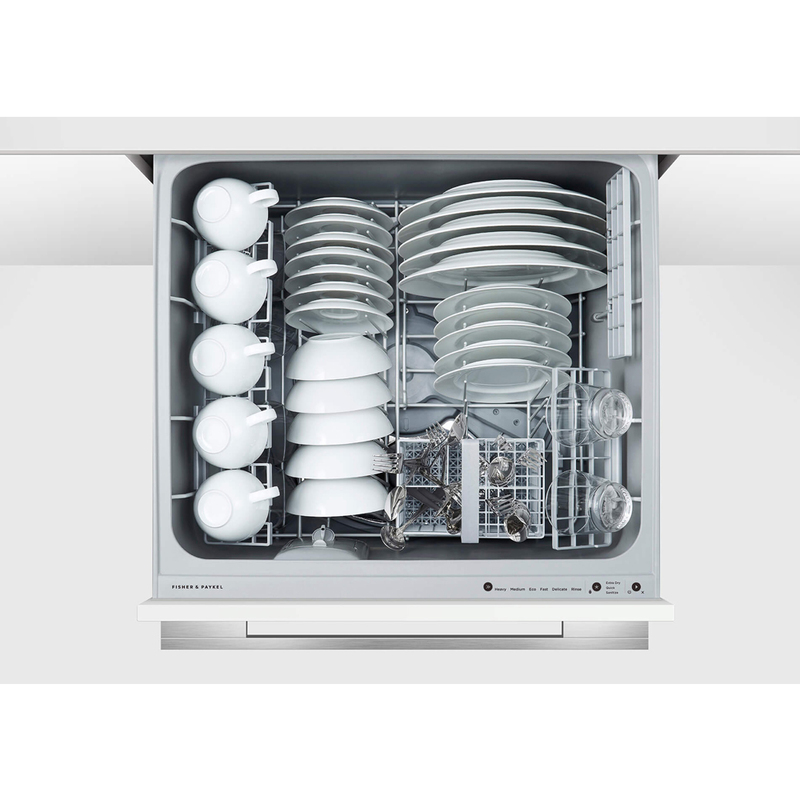 With an A++ energy rating and a very quiet 45 decibel noise level, this dishwasher is unobtrusive luxury. 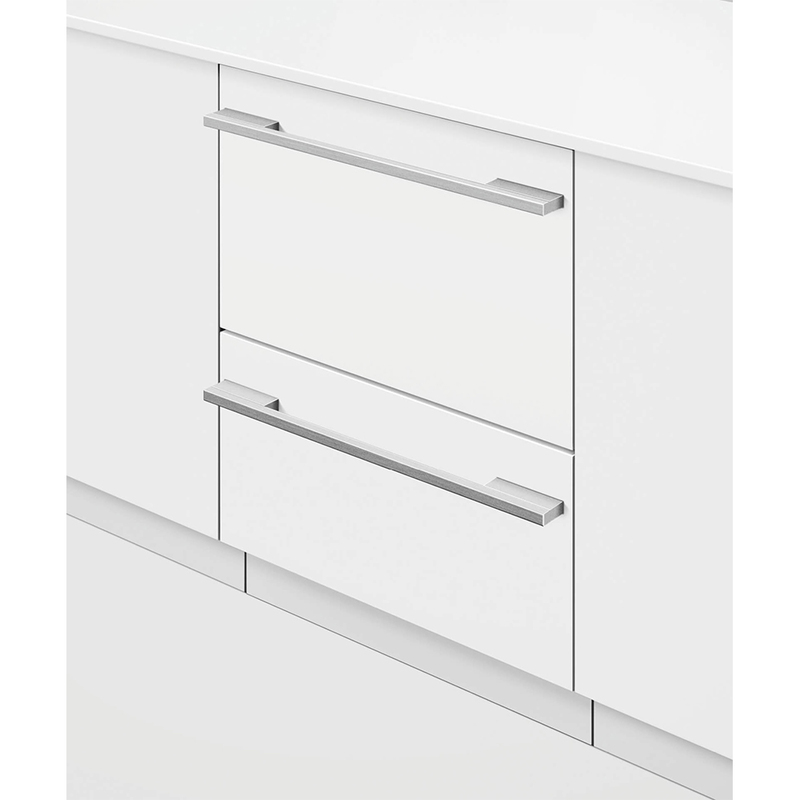 Optional brushed handle (523664) available.